When flying a rocket, it is very important to know the velocity of the vehicle throughout the flight phase. Unlike measuring speed on a bike or a car, a rocket moves very quickly through the atmosphere, making a proper speed estimation a challenge. Despite, our structures department managed to develop a supersonic pitot tube, which could be used as a potential ‘speedometer’ on our supersonic launchers. A pitot tube is a small tube, with multiple orifices in it. A few orifices on the side of the tube, normal to the flow, measure the static pressure. One orifice at the tip, parallel to the flow, to measure the total pressure. These orifices allow for an accurate calculation of the dynamic pressure from the difference between the measured total and static pressure. The velocity can then be derived from the dynamic pressure, a principle very similar to that used in most aircraft today. However, as rockets often travel at subsonic and supersonic speeds, this tube had to be designed for both cases. The main challenge was to design and integrate the different pieces together in order to easily route the tubing to the pressure sensors. The literature about the designing of supersonic pitot tubes is quite limited, which increased the difficulty during the early phases of the design. There is a specific ratio between the diameter of the tube and its length that indicates at what distance the static pressure holes should be placed from the tip. Another challenge was that this design should be adaptable in order to implement the pitot tube on different rockets but in a testing setup as well. After a thorough literature survey, design and manufacturing, the pitot tube was put to a test, at the end of June last year. 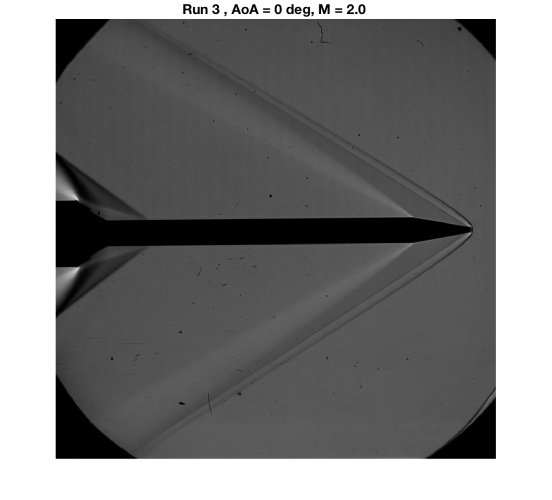 The pitot tube was tested in the TST-27 Supersonic Windtunnel of Delft University of Technology. Outside the dynamic and static pressure, we also visualized the shock waves around the tube, by means of a schlieren setup. The staff was very interested in our project and they helped us a lot with setting up and conducting the test. Our team received explanations on the test results as well, which allows us to better understand what must be redesigned in order to have a more performant pitot tube. Schlieren view of the pitot tube with shock waves. The outcome of the testing was really positive. The calculations and measurements were quite close to the real airspeed. In some conditions, there were reflections of the shockwaves on the tube due to the wind tunnel which biased the measurements. During certain flight conditions, the shockwaves produced by the adapter were at the location of the static ports and therefore gave wrong measurements. But this can be corrected by making the tube longer and having the static pressure ports further away from the adapter. We are looking forward to finishing the redesign this year and eventually be able to fly this pitot tube on one of our supersonic rockets. 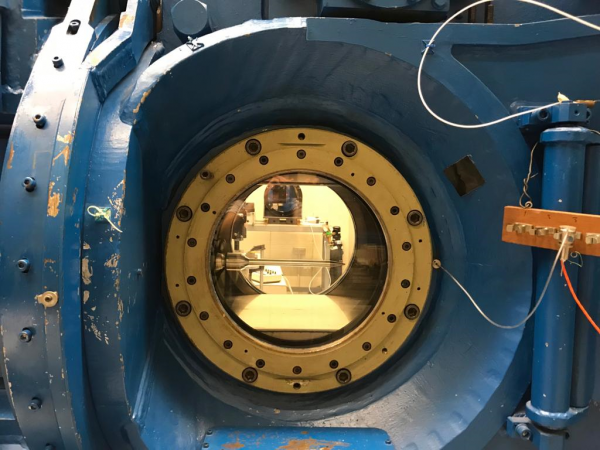 We would like to thank the TU Delft for the opportunity to test the tube in the Supersonic Windtunnel Facility, and especially Dr.ir. F.F.J. Schrijer and his team.